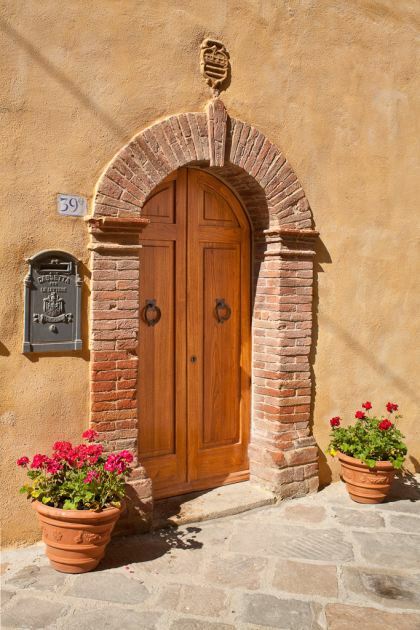 Tuscany is famous for its historical and cultural heritage sites, art, music, wines, olive oils, truffles, and food, as well as beautiful scenery and welcoming people. 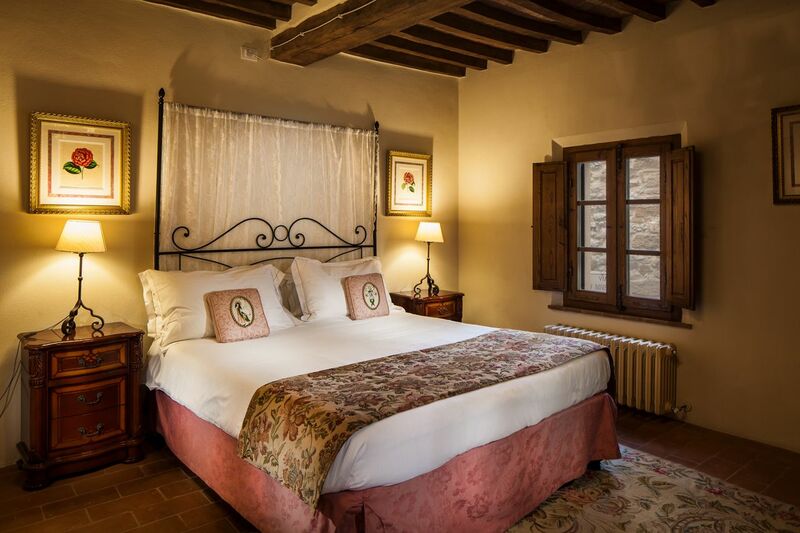 The central location of La Casa dei Fiordalisi makes it a convenient base for exploring the best of Tuscany. 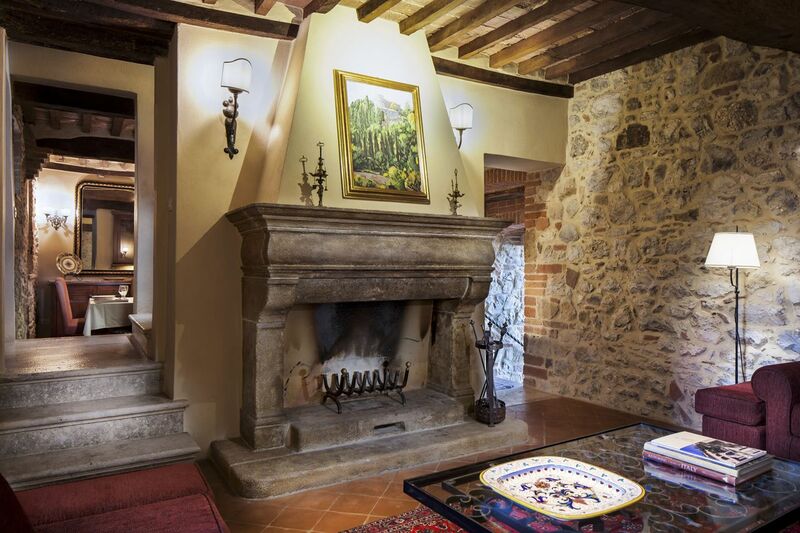 La Casa has an 800-year history in Trequanda, a medieval Tuscan hill town. 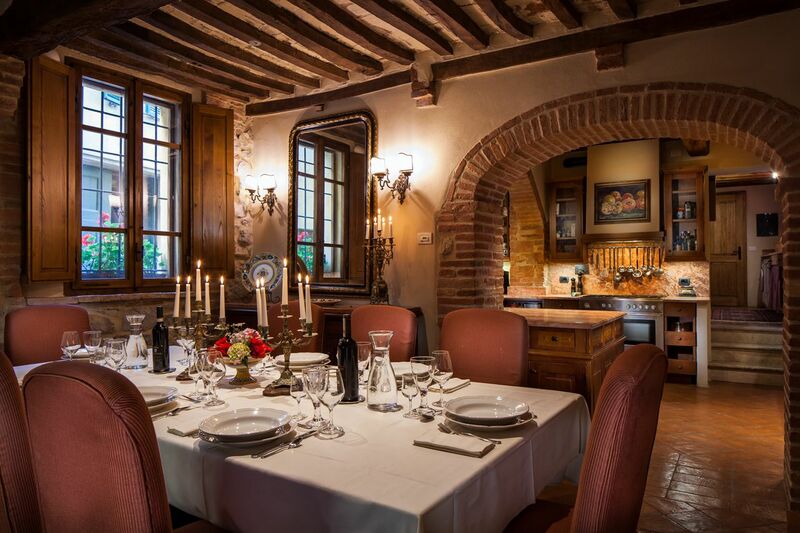 The house has been restored to be true to its heritage while also providing modern conveniences. The residence sits between a quiet village street on one side and a spacious private garden with terraces and pool on the other side. 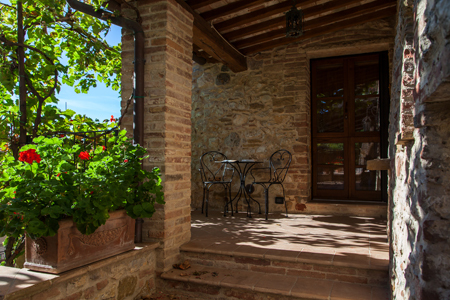 From the garden enjoy a sweeping view of the Tuscan countryside with its vineyards, olive groves, forests, and fields across gently rolling hills to Montalcino and Siena in the distance. Each house has at least one fireplace and sitting room with a kitchen and dining area. All bedrooms have baths with washing machines. 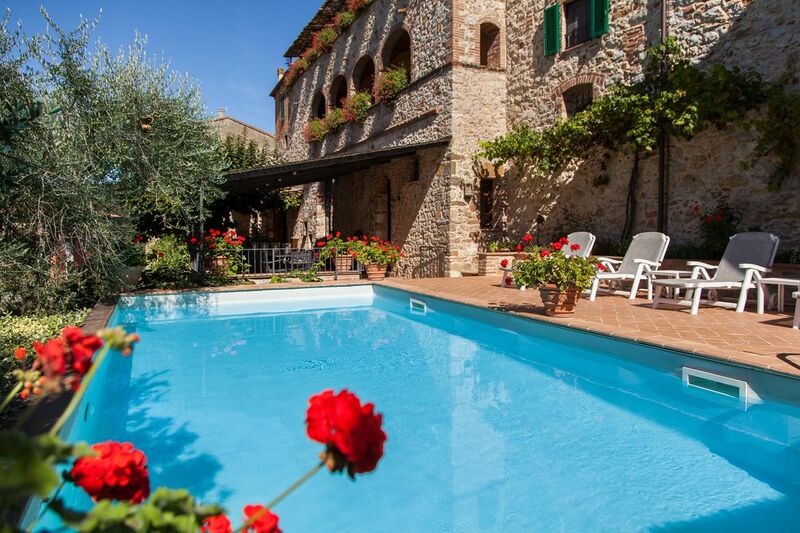 La Casa dei Fiordalisi is designed for multiple couples and families who value privacy but love time together, too. Wireless connection throughout the house makes staying in touch easy. At its maximum, the house can accommodate 12 adults (12 years and older) in the private rooms. There are three sitting rooms with sofa beds (suitable for children). 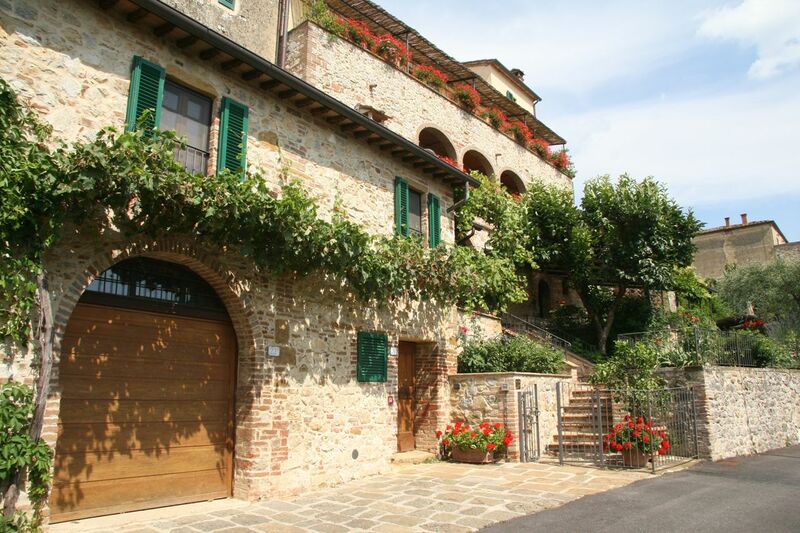 The Main House and La Casetta are rented together, May through October, but may be rented separately in March, April and November. 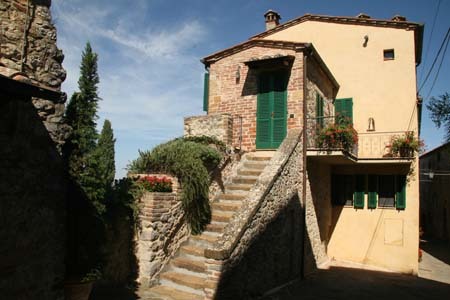 La Città can be rented along with the other two houses, or it can be rented separately March through November. 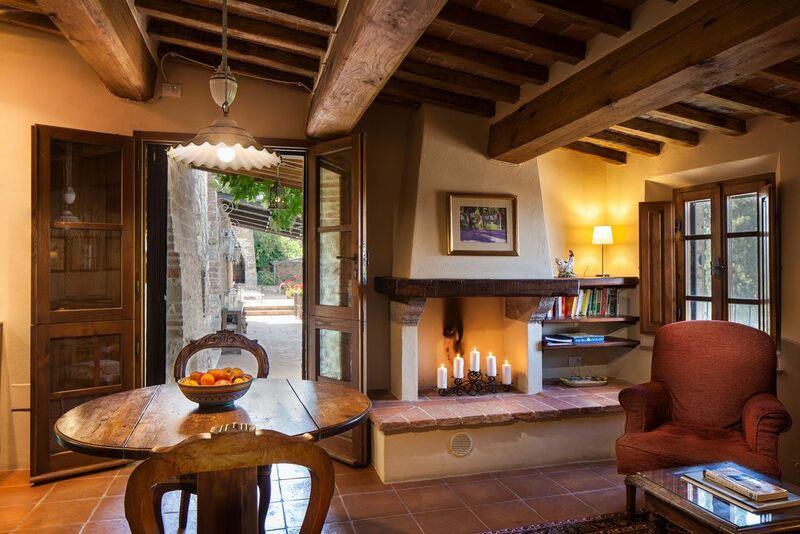 Here is the historic center of the house with handmade tile floors, traditional Tuscan beamed ceilings, 4 ensuite bedrooms, living room with fireplace, sitting room/office and dining room. 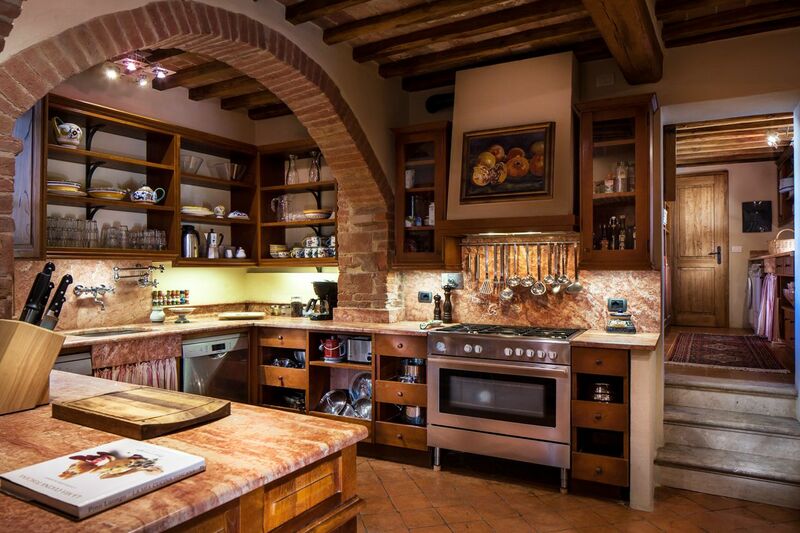 The kitchen flows out to the dining terrace, pool, and private garden. 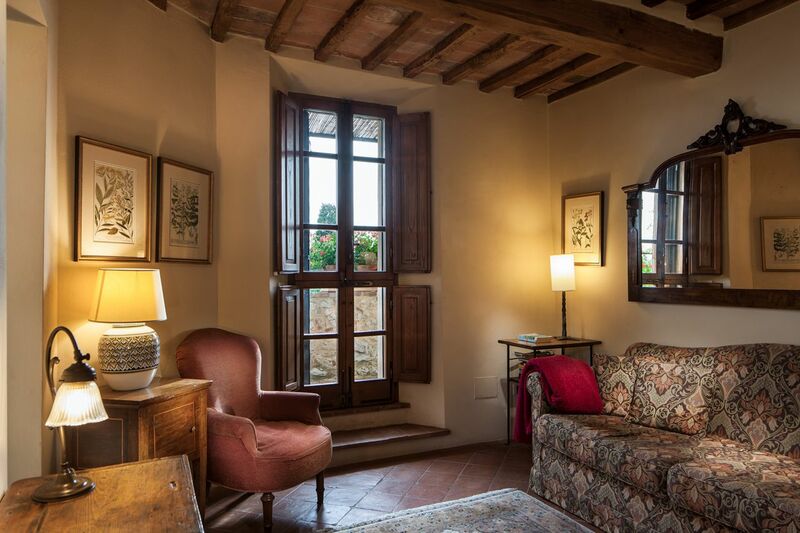 La Casa di Città is a townhouse featuring a kitchen with its own private balcony, a sitting room with fireplace and view terrace, and a spiral stone stair to the bedroom perch. Access to the main house, garden, and pool is from the view terrace. This is the Carriage House, a fully appointed suite with an outdoor view terrace, cozy sitting room with fireplace; kitchen; and spacious bedroom. 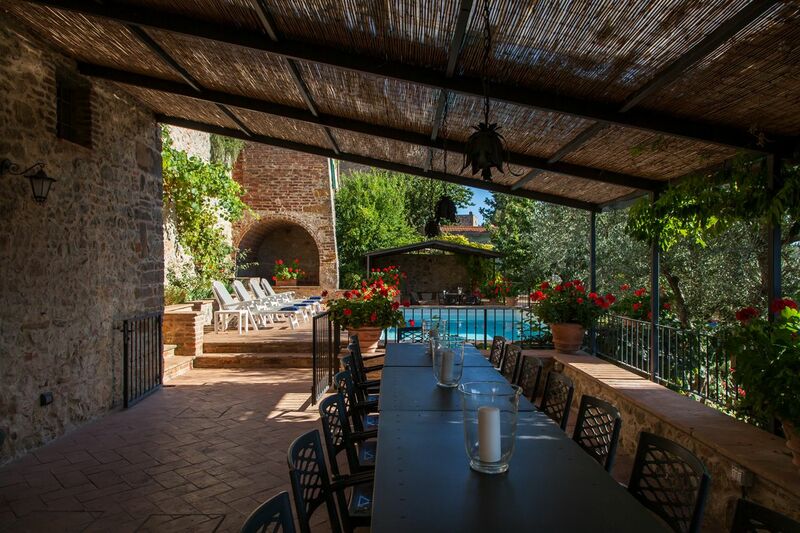 Quiet and private, La Casetta easily accesses the activity and fun of the main terrace and garden.